Note: A collection of Doctor Who poetry. 'TIMELINES : A Dozen Doctors in Verse' is a collection of poetry borne out of a lifelong love for The Doctor and all his adversaries. It covers an array of poetry, in both free form and prose styles and a couple of quirky limericks thrown in for good measure too! The constant theme of 'Twelve' runs through the book from the Zygons to The Impossible Girl, and The War Doctor to The Quantum Shade. 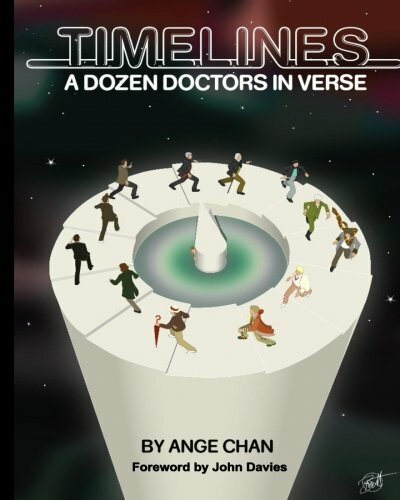 It's a must read for any fan of Doctor Who. Praise for Ange's debut novel "Two Degrees of Separation"
"Picked it up and didn't put it down until I'd finished. A real page-turner"
"A great story with brilliant insights, and perfectly paced"
"Ange Chan's writing takes the reader on a journey of intertwining stories that blend seamlessly and compel the reader to keep turning the pages"